The Russian Orthodox Church (ROC; Russian: Ру́сская правосла́вная це́рковь, tr. Rússkaya pravoslávnaya tsérkov), alternatively legally known as the Moscow Patriarchate (Russian: Моско́вский патриарха́т, tr. Moskóvskiy patriarkhát), is one of the autocephalous Eastern Orthodox churches, in full communion with other Eastern Orthodox patriarchates. The Primate of the ROC is the Patriarch of Moscow and all Rus'. The ROC, as well as the primate thereof, officially ranks fifth in the Orthodox order of precedence, immediately below the four ancient Patriarchates of the Greek Orthodox Church, those of Constantinople, Alexandria, Antioch, and Jerusalem. The official Christianization of Kievan Rus' widely seen as the birth of the ROC is believed to have occurred in 988 through the baptism of the Kievan prince Vladimir and his people by the clergy of the Ecumenical Patriarchate whose constituent part the ROC remained for the next six centuries, while the Kievan see remained in the jurisdiction of the Ecumenical Patriarchate until 1686. The ROC currently claims its exclusive jurisdiction over the Orthodox Christians, irrespective of their ethnic background, who reside in the former member republics of the Soviet Union, excluding Georgia and Armenia, although this claim is disputed in such countries as Estonia, Moldova and Ukraine and consequently parallel canonical Orthodox jurisdictions exist in those: Estonian Apostolic Orthodox Church and Metropolis of Bessarabia, respectively. It also exercises ecclesiastical jurisdiction over the autonomous Church of Japan and the Orthodox Christians resident in the People's Republic of China. The ROC branches in Belarus, Estonia, Latvia, Moldova and Ukraine since the 1990s enjoy various degrees of self-government, albeit short of the status of formal ecclesiastical autonomy. In Ukraine, ROC (represented by the Ukrainian Orthodox Church) has tensions with schismatic groups supported by the current government, while it enjoys the position of numerically dominant religious organisation. The ROC should not be confused with the Orthodox Church in America (OCA), another autocephalous Orthodox Church (since 1970, albeit not universally recognised in this status), that traces its existence in North America to the time of the Russian missionaries in Alaska (then part of the Russian Empire) in the late 18th century, and still adheres to the ROC liturgical tradition. By the end of the first millennium AD, eastern Slavic lands started to come under the cultural influence of the Eastern Roman Empire. In 863–69, the Byzantine Greek monks Saint Cyril and Saint Methodius, both from Greek Macedonia, translated parts of the Bible into Old Church Slavonic language for the first time, paving the way for the Christianization of the Slavs and Slavicized peoples of Eastern Europe, the Balkans, Ukraine, and Southern Russia. There is evidence that the first Christian bishop was sent to Novgorod from Constantinople either by Patriarch Photius or Patriarch Ignatios, c. 866–67. By the mid-10th century, there was already a Christian community among Kievan nobility, under the leadership of Byzantine Greek priests, although paganism remained the dominant religion. Princess Olga of Kiev was the first ruler of Kievan Rus′ to convert to Christianity, either in 945 or 957. Her grandson, Vladimir of Kiev, made Rus' officially a Christian state. The official Christianization of Kievan Rus' is widely believed to have occurred in 988 AD, when Prince Vladimir was baptised himself and ordered his people to be baptised by the priests from the Eastern Roman Empire. The Kievan church was a junior metropolitanate of the Patriarchate of Constantinople and the Ecumenical patriarch appointed the metropolitan, who usually was a Greek, who governed the Church of Rus'. The Metropolitan's residence was originally located in Kiev itself, the capital of the medieval Rus' state. Following the tribulations of the Mongol invasion, the Russian Church was pivotal in the survival and life of the Russian state. Despite the politically motivated murders of Mikhail of Chernigov and Mikhail of Tver, the Mongols were generally tolerant and even granted tax exemption to the Church. Such holy figures as Sergius of Radonezh and Metropolitan Alexis helped the country to withstand years of Tatar oppression, and to expand both economically and spiritually. The Trinity monastery founded by Sergius of Radonezh became the setting for the flourishing of spiritual art, exemplified by the work of Andrey Rublev, among others. The followers of Sergius founded four hundred monasteries, thus greatly extending the geographical extent of the Grand Duchy of Moscow. Russian Orthodox monks defended the Trinity monastery against Polish troops during the Time of Troubles. The year 1917 was a major turning point in Russian history, and also the Russian Orthodox Church. In early March 1917 (O.S. ), the Czar was forced to abdicate, the Russian empire began to implode, and the government′s direct control of the Church was all but over by August 1917. On 15 August (O.S. ), in the Moscow Dormition Cathedral in the Kremlin, the Local (Pomestniy) Council of the ROC, the first such convention since the late 17th century, opened. The Council continued its sessions until September 1918 and adopted a number of important reforms, including the restoration of Patriarchy, a decision taken 3 days after the Bolsheviks overthrew the Provisional Government in Petrograd on 25 October (O.S.). On 5 November, Metropolitan Tikhon of Moscow was selected as the first Russian Patriarch after about 300 years of the Synodal rule. In early February 1918, the Bolshevik-controlled government of Soviet Russia enacted the Decree on separation of church from state and school from church that proclaimed separation of church and state in Russia, freedom to ″profess any religion or profess none″, deprived religious organisations of the right to own any property and legal status. Legal religious activity in the territories controlled by Bolsheviks was effectively reduced to services and sermons inside church buildings. The Decree and attempts by Bolshevik officials to requisition church property caused sharp resentment on the part of the ROC clergy and provoked violent clashes on some occasions: on 1 February (19 January O.S. 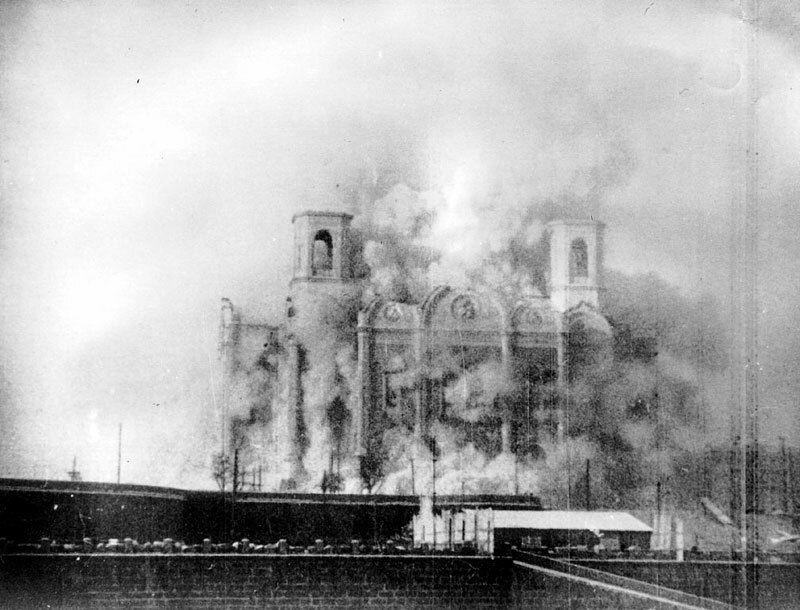 ), hours after the bloody confrontation in Petrograd′s Alexander Nevsky Lavra between the Bolsheviks trying to take control of the monastery′s premises and the believers, Patriarch Tikhon issued a proclamation that anathematised the perpetrators of such acts. The Soviet Union, formally created in December 1922, was the first state to have elimination of religion as an ideological objective espoused by the country′s ruling political party. Toward that end, the Communist regime confiscated church property, ridiculed religion, harassed believers, and propagated materialism and atheism in schools. Actions toward particular religions, however, were determined by State interests, and most organized religions were never outlawed. 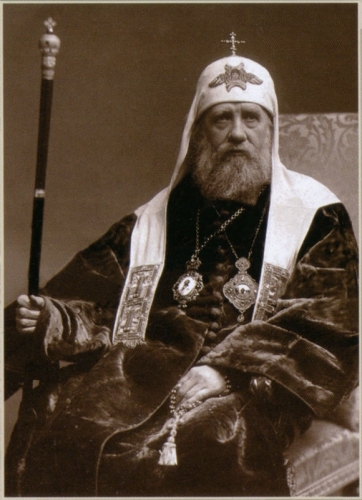 In 1927, Metropolitan Eulogius (Georgiyevsky) of Paris broke with the ROCOR (along with Metropolitan Platon (Rozhdestvensky) of New York, leader of the Russian Metropolia in America). In 1930, after taking part in a prayer service in London in supplication for Christians suffering under the Soviets, Evlogy was removed from office by Sergius and replaced. Most of Evlogy's parishes in Western Europe remained loyal to him; Evlogy then petitioned Ecumenical Patriarch Photius II to be received under his canonical care and was received in 1931, making a number of parishes of Russian Orthodox Christians outside Russia esp. in Western Europe an Exarchate of the Ecumenical Patriarchate as the Archdiocese of Russian Orthodox churches in Western Europe. In December 2017 Security Service of Ukraine lifted classified top secret status of documents reveals that the NKGB of the USSR and its units in the Union and autonomous republics, territories and regions were engaged in the selection of candidates for participation in the council from the representatives of the clergy and the laity. To this end, it was necessary to outline "persons who have religious authority among the clergy and believers, and at the same time checked for civic or patriotic work". "It is important to ensure that the number of nominated candidates is dominated by the agents of the NKGB, capable of holding the line that we need at the Council," the letter sent in September 1944 to the place signed by the head of the 2nd Directorate of the NKGB of the USSR Fedotov and the head of the Fifth Division 2nd Directorate of Karpov. A new and widespread persecution of the church was subsequently instituted under the leadership of Nikita Khrushchev and Leonid Brezhnev. A second round of repression, harassment and church closures took place between 1959 and 1964 when Nikita Khrushchev was in office. Several thousand churches were closed or demolished, priests, monks and faithful were killed or imprisoned and the number of functioning monasteries was reduced to less than twenty. While the ROC officially is critical of nationalism, critics of the church allege that it promotes anti-liberalism and is host to numerous groups that promote nationalist and anti-Western tendencies. Besides, the ROC is viewed with suspicion by many Russians because of its allegiance to the erstwhile communist regime and connection to the KGB. It also faces the spread of a variety of religious movements in Russia, which directly challenge its former predominance. In accordance with the practice of the Orthodox Church, a particular hero of faith can initially be canonized only at a local level within local churches and eparchies. Such rights belong to the ruling hierarch and it can only happen when the blessing of the patriarch is received. The task of believers of the local eparchy is to record descriptions of miracles, to create the hagiography of a saint, to paint an icon, as well as to compose a liturgical text of a service where the saint is canonized. All of this is sent to the Synodal Commission for canonization which decides whether to canonize the local hero of faith or not. Then the patriarch gives his blessing and the local hierarch performs the act of canonization at the local level. However, the liturgical texts in honor of a saint are not published in all Church books but only in local publications. In the same way these saints are not yet canonized and venerated by the whole Church, only locally. When the glorification of a saint exceeds the limits of an eparchy, then the patriarch and Holy Synod decides about their canonization on the Church level. After receiving the Synod’s support and the patriarch’s blessing, the question of glorification of a particular saint on the scale of the entire Church is given for consideration to the Local Council of the Russian Orthodox Church. 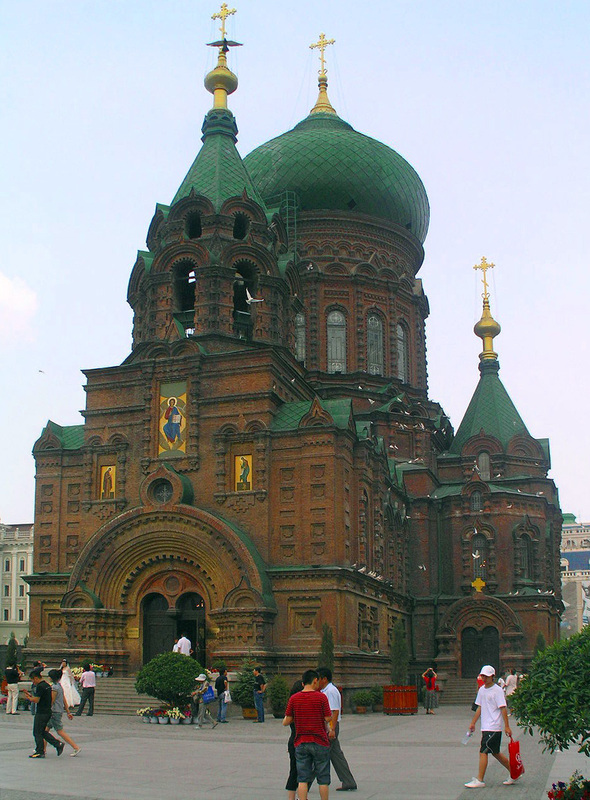 The ROC is often said to be the largest of the Eastern Orthodox churches in the world. Including all the autocephalous churches under its supervision, its adherents number more than 150 million worldwide—about half of the 300 million estimated adherents of the Eastern Orthodox Church. Among Christian churches, the Russian Orthodox Church is second only to the Roman Catholic Church in terms of numbers of followers. Within Russia the results of a 2007 VTsIOM poll indicated that about 75% of the population considered themselves Orthodox Christians. Up to 65% of ethnic Russians as well as Russian-speakers belonging to other ethnic groups from Russia (Ossetians, Caucasus Greeks etc.) and a similar percentage of Belarusians and Ukrainians identify themselves as "Orthodox". However, according to a poll published by the church related website Pravmir.com (Template:Separated entries) in December 2012, only 41% of the Russian population identified itself with the Russian Orthodox Church. Pravmir.com also published a 2012 poll by the respected Levada organization VTsIOM indicating that 74% of Russians considered themselves Orthodox. ^ "Vladimir I – Russiapedia History and mythology Prominent Russians". http://russiapedia.rt.com/prominent-russians/history-and-mythology/vladimir-i/. Retrieved 5 March 2015. ^ "Primacy and Synodality from an Orthodox Perspective". https://mospat.ru/en/2014/11/09/news111091/. Retrieved 5 March 2015. ^ "I. Общие положения - Русская прадед дарова я Церковь". http://www.patriarchia.ru/db/text/419782.html. Retrieved 5 March 2015. ^ "Диптих". http://www.bogoslov.ru/text/192554.html. Retrieved 5 March 2015. ^ "Religious tensions deepen Ukraine splits - Russian Orthodox official". Reuters. 16 May 2014. https://www.reuters.com/article/2014/05/16/us-ukraine-crisis-church-idUSBREA4F0HE20140516. Retrieved 5 March 2015. ^ Damick, Andrew S.. "Life of the Apostle Andrew". Chrysostom. Archived from the original on July 27, 2007. https://web.archive.org/web/20070727090106/http://www.chrysostom.org/firstcalled/life.html. Retrieved 2007-06-25. ^ Voronov, Theodore (2001-10-13). "The Baptism of Russia and Its Significance for Today". Orthodox. Clara. Archived from the original on 2007-04-18. https://web.archive.org/web/20070418065947/http://www.orthodox.clara.net/baptism_rus.htm. Retrieved 2007-06-25. ^ "ИОНА". http://www.pravenc.ru/text/578250.html. Retrieved 5 March 2015. ^ "What role did the Orthodox Church play in the Reformation in the 16th Century?". Archived from the original on 29 August 2015. https://web.archive.org/web/20150829172737/http://www.stgeorgegreenville.org/OrthodoxLife/Chapter1/Chap1-9.html. Retrieved 25 August 2015. ^ "Анафема св. патриарха Тихона против советской власти и призыв встать на борьбу за веру Христову". http://st-elizabet.narod.ru/raznoe/anafema_sovetchikam.htm. Retrieved 5 March 2015. ^ Ostling, Richard (June 24, 2001). "Cross meets Kremlin". TIME Magazine. http://www.time.com/time/magazine/article/0,9171,150718,00.html. ^ Sullivan, Patricia (November 26, 2006). "Anti-Communist Priest Gheorghe Calciu-Dumitreasa". The Washington Post: p. C09. https://www.washingtonpost.com/wp-dyn/content/article/2006/11/25/AR2006112500783.html. ^ Protopriest Yaroslav Belikow. December 11, 2004. The Visit of His Eminence Metropolitan Laurus to the Parishes of Argentina and Venezuela Script error." ^ Fitzpatrick, Sheila. 1999. Everyday Stalinism: Ordinary Life in Extraordinary Times: Soviet Russia in the 1930s. New York: Oxford University Press, pp. 179-182. ^ "Dissent in the Russian Orthodox Church," Russian Review, Vol. 28, N 4, October 1969, pp. 416–427. ^ a b Yevgenia Albats and Catherine A. Fitzpatrick. The State Within a State: The KGB and Its Hold on Russia - Past, Present, and Future. 1994. ISBN 0-374-52738-5, page 46. ^ Nathaniel Davis, A Long Walk to Church: A Contemporary History of Russian Orthodoxy, (Oxford: Westview Press, 1995), p.96 Davis quotes one bishop as saying: "Yes, we—I, at least, and I say this first about myself—I worked together with the KGB. I cooperated, I made signed statements, I had regular meetings, I made reports. I was given a pseudonym—a code name as they say there. ... I knowingly cooperated with them—but in such a way that I undeviatingly tried to maintain the position of my Church, and, yes, also to act as a patriot, insofar as I understood, in collaboration with these organs. I was never a stool pigeon, nor an informer." ^ Charles Clover (December 5, 2008). "Russia's church mourns patriarch". Financial Times. Archived from the original on March 29, 2010. https://web.archive.org/web/20100329045043/http://us.ft.com/ftgateway/superpage.ft?news_id=fto120520081735416422&page=1. Retrieved December 8, 2008. ^ "The Basis of the Social Concept". http://www.mospat.ru/en/documents/social-concepts/. Retrieved 5 March 2015. ^ "The Russian Orthodox Church’s Basic Teaching on Human Dignity, Freedom and Rights". http://www.mospat.ru/en/documents/dignity-freedom-rights/. Retrieved 5 March 2015. ^ "No 130 (October 21, 2007) » Europaica Bulletin » OrthodoxEurope.org". http://orthodoxeurope.org/page/14/130.aspx#3. Retrieved 5 March 2015. ^ "Interfax-Religion". http://www.interfax-religion.com/?act=news&div=3945. Retrieved 5 March 2015. ^ Piety's Comeback as a Kremlin Virtue. Script error, Alexander Osipovich, The Moscow Times, February 12, 2008. p. 1. ^ Clover, Charles (December 5, 2008). "Russia's church mourns patriarch". The Financial Times. Archived from the original on March 29, 2010. https://web.archive.org/web/20100329050911/http://us.ft.com/ftgateway/superpage.ft?news_id=fto120520081735416422&page=2. Retrieved December 8, 2008. ^ Julia Gerlach and Jochen Töpfer, eds. (2014). The Role of Religion in Eastern Europe Today. Springer. p. 135. https://books.google.com/books?id=1F6vBQAAQBAJ&pg=PA135. ^ Myers (2016). The New Tsar. p. 404. https://books.google.com/books?id=1PO4DAAAQBAJ&pg=PA404. ^ Darmaros, Marina (2012-04-23). "The Russian Orthodox Church won't be silent" (in en-US). Russia Beyond The Headlines. 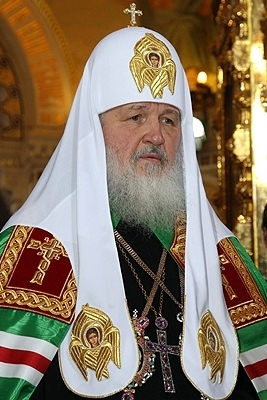 http://rbth.com/articles/2012/04/23/the_russian_orthodox_church_wont_be_silent_15378.html. ^ Keith Armes. Chekists in Cassocks: The Orthodox Church and the KGB". ^ OrthodoxWiki. ROCOR and OCA Script error. ^ "Russian Orthodox Church Abroad (ROCA), Synod of Bishops". Sinod.ruschurchabroad.org. http://sinod.ruschurchabroad.org/engindex.htm. Retrieved 2010-01-25. ^ "The Russian Orthodox Church Outside Russia - Official Website". Archived from the original on 16 October 2014. https://web.archive.org/web/20141016172842/http://www.russianorthodoxchurch.ws/synod/eng2007/7ensfcommunique.html. Retrieved 5 March 2015. ^ "Belarusian Orthodox Church Seeks More Independence from Russia". Belarus Digest: News and analytics on Belarusian politics, economy, human rights and more.. http://belarusdigest.com/story/belarusian-orthodox-church-seeks-more-independence-russia-21049. Retrieved 2016-02-20. ^ Ahlborn, Richard E. and Vera Beaver-Bricken Espinola, eds. Russian Copper Icons and Crosses From the Kunz Collection: Castings of Faith. Washington, DC: Smithsonian Institution Press. 1991. 85 pages with illustrations, some colored. Includes bibliographical references pages 84-85. Smithsonian Studies in History and Technology: No. 51. ^ "Russian Orthodox Mission in Haiti - Home". http://www.orthodoxhaiti.org. Retrieved 5 March 2015. ^ "The Russian Orthodox Church Outside Russia - Official Website". http://www.synod.com/synod/eng2012/20120627_enhimkromanrdm.html. Retrieved 5 March 2015. ^ "Russian Orthodox Church denies plans to create private army". RIA Novosti (BBC News). 2008-11-21. http://en.rian.ru/russia/20081121/118458478.html. Retrieved December 13, 2008. ^ "Religions in Russia: a New Framework : A Russian Orthodox Church Website". Pravmir.com (Template:Separated entries). 2012-12-22. http://www.pravmir.com/religions-in-russia-a-new-framework/. Retrieved 2013-03-12. ^ "Number of Orthodox Church Members Shrinking in Russia, Islam on the Rise - Poll : A Russian Orthodox Church Website". Pravmir.com. 2012-12-18. http://www.pravmir.com/number-of-orthodox-church-members-shrinking-in-russia-islam-on-the-rise-poll/. Retrieved 2013-03-12. Pankhurst, Jerry G., and Alar Kilp. "Religion, the Russian Nation and the State: Domestic and International Dimensions: An Introduction." Religion, State and Society 41.3 (2013): 226-243. This page uses content from the English language Wikipedia. The original content was at Russian Orthodox Church. The list of authors can be seen in the page history. As with this Familypedia wiki, the content of Wikipedia is available under the Creative Commons License.